I never mentioned it in the previous post, but the Taj hotel is a renovation of the old South African Reserve Bank and BoE buildings (at the bottom of Wale street where it meets up with Adderley). I have an idea that this is what helps gives the hotel that old, classic yet elegant look. I took this photo of the hotel's cigar lounge after visiting Bombay Brasserie. 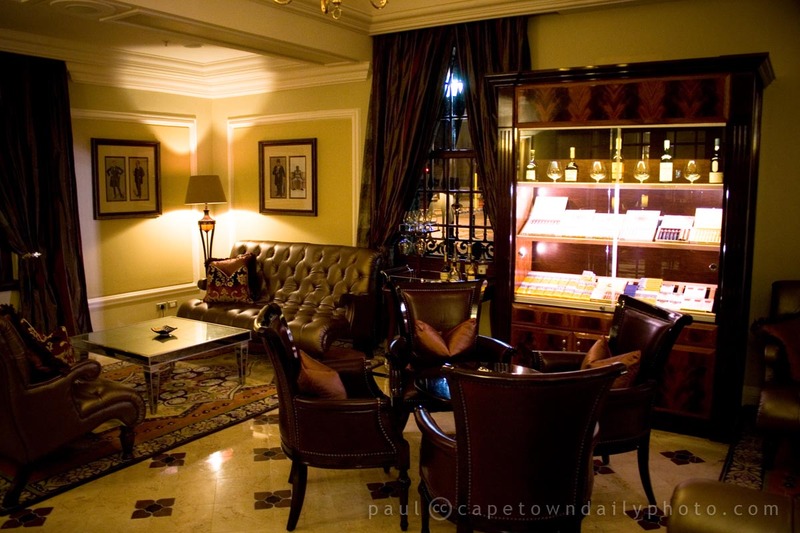 Besides for loving the classically opulent décor of the cigar lounge, what is awesome is that just outside there's a quiet bar area with comfortable chairs and couches that look perfect for enjoying a drink or perhaps cup of coffee after a night out in Cape Town. Posted in General on Saturday, 1 May, 2010 by Paul.